Hubbards Machinery in Ashburton has been building cultivation gear for many years for farmers and contractors wanting something stronger than what was on offer at the time. The cultivator was able to finish and level the heavily ploughed paddock to a very good standard in only a couple of passes. The combination of the cultivator and roller worked well together, and I was surprised at how easily it trailed behind the tractor, given the weight of the roller. While the cultivator made the tractor work, it was easy to turn, and the roller tracked very well on the corners. 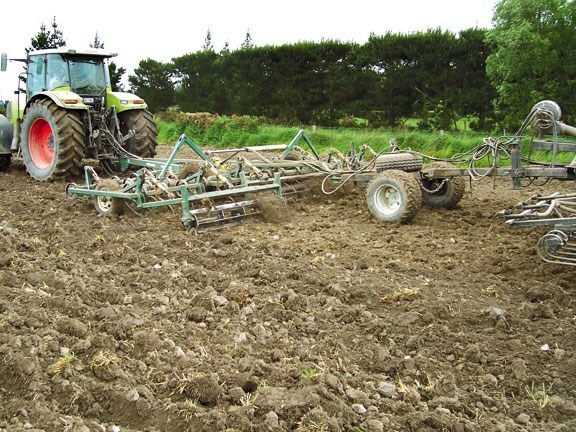 This is because the roller is hitched to a simple dolly axle, which carries all the tongue weight of the roller and allows the cultivator to turn without being dragged sideways during the turn. 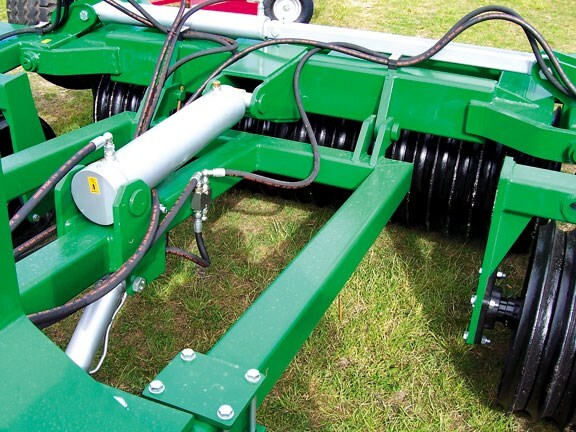 Also playing its part is the long drawbar, which keeps the cultivator out of the fence on those sharp turns. 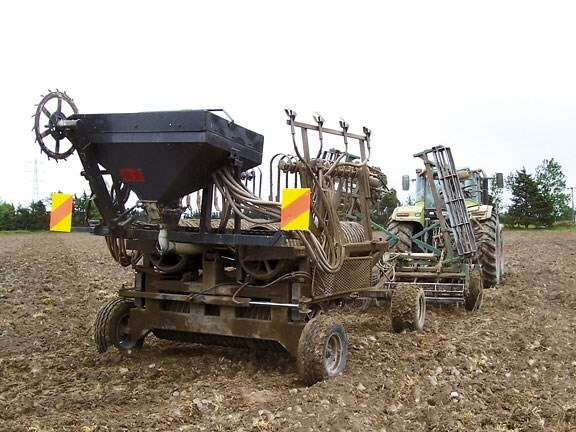 The frame is constructed from heavy wall 65x65 RHS, with bracing and gussets, and the drawbar has the lift ram for the wings fitted clamped to the main frame. This allows some flexing of the frame. It also allows for the machine to be transported to customers easily. Also on the frame were mounting points for the optional leveling boards. 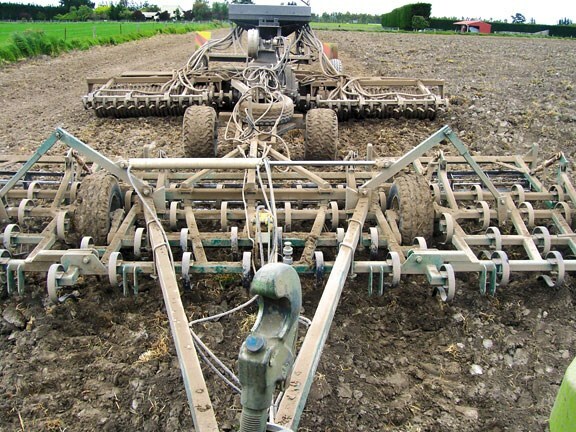 Hubbard cultivators use a heavy Danish tine fitted with nihard cast tip. I was impressed with the way that the turf flowed through between the tines, which are spaced at about 100mm but have a good stagger to allow trash through. They are longer than an S tine and have considerably more clearance under the coil. The tips enter the ground at a flatter angle than an S tine and appear to have more of a lifting action as well, with the tine very active in comparison. This is by way of an easy to adjust depth stop on the main lift ram and turnbuckles on the wing wheels and crumbler and the drawbar has an adjustable tongue as well. The wings have a double pivot allowing them to follow the contour supported by their own wheel. The Flexicoil roller worked well in combination with the cultivator. Folding from the work to transport position is fully hydraulic and takes only a few minutes. The roller was also fitted with levelling tines and an air seeder making for a versatile unit. A well-built piece of gear that does a good job, it has the feeling of a well set-up piece of gear. The heavy tines and tips set it apart from other cultivators. All the pivot points are greasable, although I did note that none of the pins are secured against turning. Another observation was the hydraulic hoses were not very well secured to the frame or drawbar and looked a bit half finished. 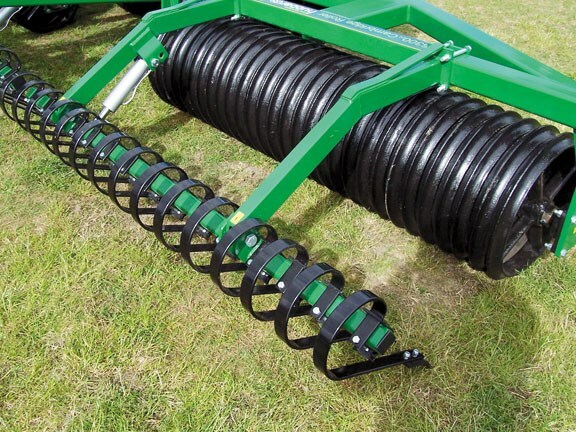 See a range of cultivators for sale here.